Google provides so many tools to earn money online. Recently launched a useful App for users. This app will help you to earn money by following the simple steps. Google wants to make life easier for the people and the team is working with the number of developers for this. The Google team has developed so many tools for you and continue to search for the new one. The big plus point is that Google has added maximum tools for money generation. That is the biggest point of attraction for the internet searcher. The good number of users search the internet to earn money online. Google has launched an App for you. This app is available on the Google App store. The name is ‘Google Opinion Reward’. 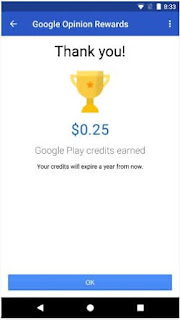 This has been launched by Google to support the Google App store expenses. But earning is only possible if the user provides the correct information in the survey report. What Google Will Pay For Survey Report? Your opinion is very valuable for Google. They will be paid up to 1$ on every survey, which you will complete. Earning Reward By Genuine Survey. What Is The Working Processor And How Can Start? 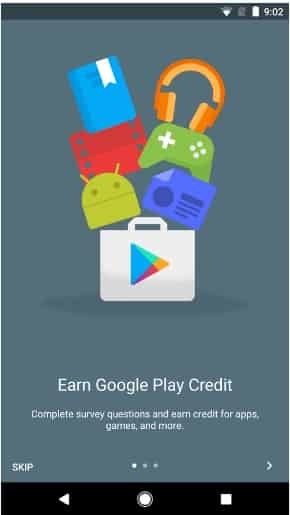 You have to install ‘Google Opinion Rewards’ App from Google Play Store. Launch app and setup as per instruction. Click, when message ‘touch to dismiss’ flash there. Now allow accessing your data. The app will also demand to provide some basic information. That will be your Gender, Age, Language, Postal Code, Income etc. Provide the right information. After giving the information your dashboard will come out. That is the place, where you can see your Google Play Credits and Reward History. Google provides the notification of the survey on your dashboard. You have to provide the right information. 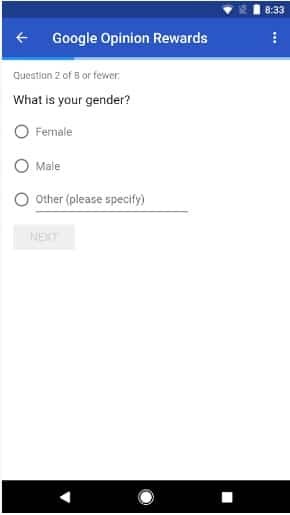 Survey question may be asked about your location too. To earn more money through this App, visit on those sites, who are ready to pay for customer feedback. If you want to earn a big amount, then you will be gone to outside of your home. Because the survey may be flashed as per location. That means if you are in Mall, then maybe you get the survey notification about the brand available in Mall. It is very important to understand that the survey should be authentic and genuine. If you cheat and serve the wrong information then it may be possible that you will not get any survey notification in the future. 1. Check the app on daily basis. The apps survey points can be used to purchase new apps, movie, game etc. So, this is the best time to sign in Google Opinion Rewards app to earn big points. Let's start the new way to earn money to purchase valuable apps without spending money from pocket. Share your valuable comments in the below-given box.